Home Knowledge Base Family Law & Divorce Did you consider your spouse’s pension when you divorced? A recent discussion on Radio 4 disclosed that a number of women said they had divorced without realising that they could claim against their husbands’ pension schemes. That seems quite surprising as pensions are something at the front of everyone’s mind nowadays, because of auto enrolment and a number of scandals involving the collapse of large company pension schemes. If you started your divorce before December 2000, it was not possible to take a share of one spouse’s (usually the husband’s) pension fund as this was not provided for in the statute that governs financial claims on divorce – the Matrimonial Causes Act 1973. Initially pension earmarking orders were introduced, which directed the pension fund trustees to pay a proportion of the member’s pension as income to the former spouse. This had difficulties though, as it did not survive the death of the member nor the remarriage of the receiving former spouse. It also meant that the member spouse could unreasonably delay their retirement to prevent pension income flowing through them to their former spouse. These difficulties were resolved by the introduction of pension sharing orders. Earmarking still exists, although re-branded as attachment orders, and there are some rare cases where that is the right option but, for the majority of people, if the pension fund is large enough then a pension sharing order is the right option. A pension share has to be taken as a pension and, subject to the agreement of the pension fund itself, can be held within the original scheme or transferred out to a scheme of the recipient spouse’s own choice. It is then accessed by them in accordance with their scheme rules and is not affected by what happens to the fund it was carved out of, or by decisions taken by the original pension holder. It remains with the recipient former spouse despite (her) remarriage or the death of the other spouse. There can be differences, particularly in public sector schemes, as to the date on which the original member and the former spouse can access their benefits, and the early access rules for police and members of the Armed Forces are not carried across to their former spouses’ funds. It is very difficult to conclude a financial agreement within a divorce without being aware of what pension each spouse holds. This is because any agreed order that is put before the court for approval by a judge has to have with it a document that summaries the financial position of each spouse. The form is in a prescribed format and has a specific box for pension provision. So the women who called Radio 4 should have been aware if there were valuable pension funds held by their husbands. However they may not have appreciated that the deal they struck involved offsetting their pension claims against other assets, effectively trading the money they could have received from a pension and taking it in some other asset, usually a house. This can be a sensible step for many women who still have children at home, to secure ownership of the house outright rather than having part of a house and part of a pension fund which, remember, they cannot access now but only on their own retirement. 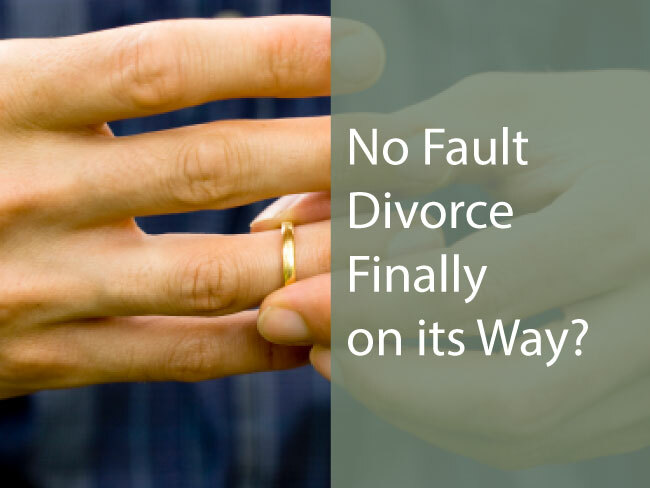 But it is the case that many people simply divorce and manage the paperwork for that without seeking any advice from lawyers. They sell their jointly owned house and divide the proceeds. They use the child support calculation to work out what should be paid for their children and they leave it at that. Pensions are not discussed and are completely overlooked. Any couple in that position still have claims that they each can bring against the other. Financial claims are not extinguished by decree absolute (but check with a lawyer if you have remarried) and can still be pursued. I know of cases where pensions are being looked at 18 years after the parties divorced even though, at that time, both probably thought that was the end of matters. So if you did not think about pensions when you divorced, particularly if your divorce was after December 2000, you should speak to a lawyer to find out if this was something you should have looked at and whether it would be right for anything to be done about it now.